Is your lady crazy about cats? 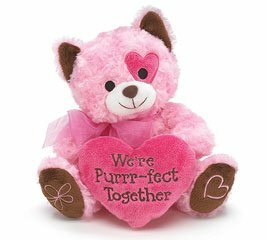 Well, look no further because I think I’ve found some of the cutest Valentine’s Day gift ideas for you to express your love this year! I’m a newly converted cat lover thanks to my boyfriends’ gorgeous Siamese cat and I’d love any of these great cat themed gifts. 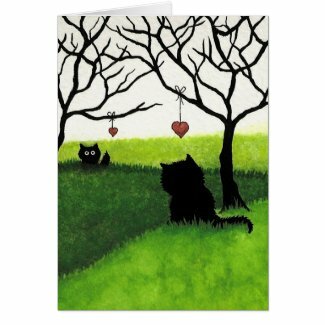 It seems cats are a very popular theme when it comes to cards so I just picked my favorites to show you. 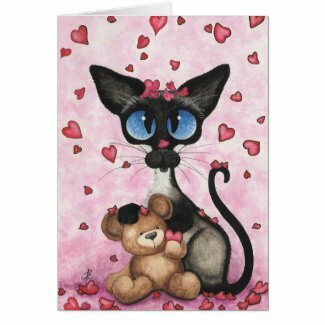 There are loads of cat themed Valentine’s Day cards available on Zazzle for you to choose from too. 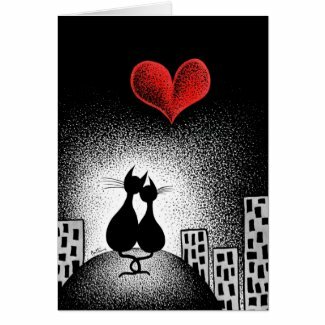 Although the cat lovers by moonlight card is drawn in a cartoon style, I think it’s very elegant too. The Siamese cat is my favorite though, who could resist that goofy face? 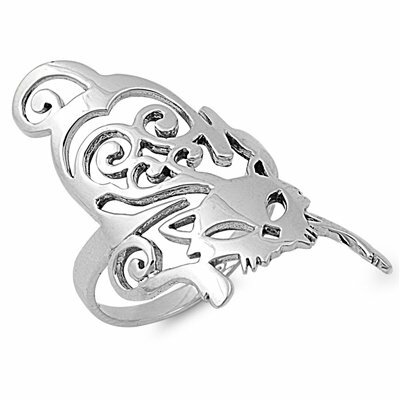 Jewelry is always a favorite Valentine’s Day gift and these sterling silver pieces are gorgeous. 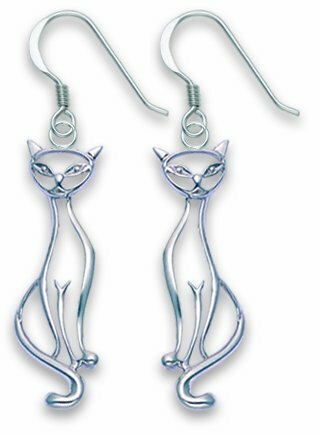 I love the elegance of the dangly cat earrings which are very reasonably priced too. 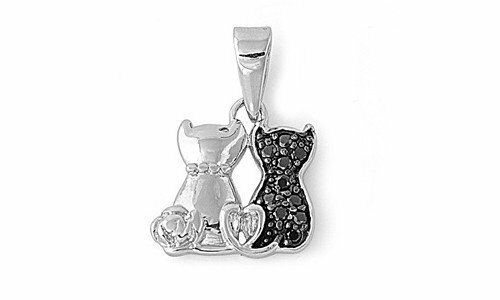 The pair of cats pendant is lovely and comes with a dainty sterling silver figaro chain. It’s back to Zazzle for these wonderful cute kitty t-shirts. Many of the card designs are also available on t-shirts so if you find the perfect design in either category, you can click on the artist or shop name to find other products with the same design. There are lots of cute cat t-shirts and other styles of clothing too. 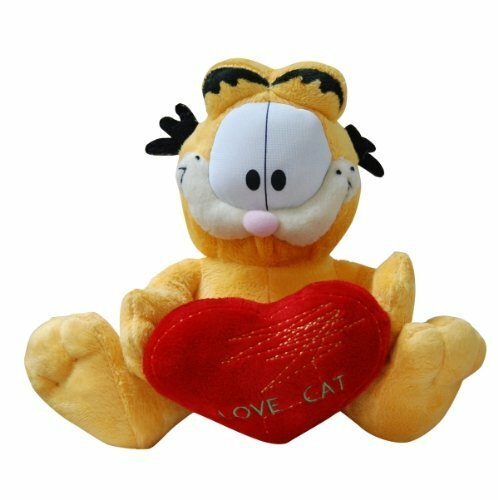 So I let my soppy, romantic side out today whilst looking for these cat themed Valentine’s Day gifts but that’s what Valentine’s Day is supposed to be about after all! 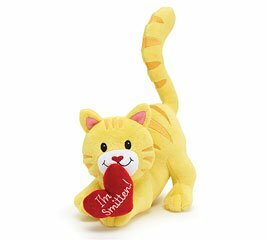 Love, romance and making sure she knows how you feel is easy when you let yourself be soppy with one of these super cute kitty gifts. If you would like some help with finding that perfect gift, you can leave a comment below with some details or find us on our Gifts for Gamers and Geeks Facebook page.